""Marley was dead, to begin with..."" And yet, he manages to visit his old partner, the miser Ebenezer Scrooge, and send him on a transformative journey, led by three ghosts. First to his own past, where he sees again the love he spurned, then to the present, where he sees those around him going about their holiday preparations, and then into his own future, to see his just reward. A Christmas favorite, it will warm your heart with favorite memories, and remind you how the true Christmas spirit comes from giving with love. Charles Dickens was an English writer and social reformer. 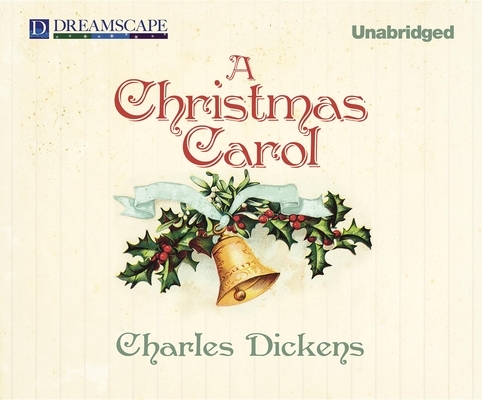 He is widely considered the greatest Victorian novelist, and wrote such classics as Great Expectations, A Tale of Two Cities, A Christmas Carol, and Oliver Twist. Aside from his novels, he also wrote short stories, non-fiction, poetry, plays, and countless letters. He was also a well-known supporter of children's rights and educational reform. READER BIORalph Cosham, a narrator with dozens of fine performances of British classics including The Wind in the Willows and The Time Machine, also records as Geoffrey Howard, whose long audiography of titles includes works by C.S. Lewis. Ralph, as Cosham or Howard, has performed more than 100 audiobooks while keeping an active stage career in regional theater. Changing careers from British journalist to actor in the 1970s, Ralph has been recording for nearly 15 years.